This is a post from the InspireLearnLive site called “11 Aloe Vera Immortality Ideas.” It’s packed with different natural ways to use for Aloe Vera. These are very useful recipes. For each use there’s a link to a recipe. 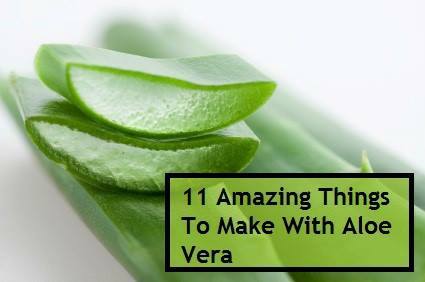 Click the 11 Natural Recipes that Use Aloe Vera link below to see all of the recipes. Aloe Vera has been widely grown as an ornamental plant. Aloe is also an excellent treatment for skin conditions such as burns and eczema. Thanks for sharing these Aloe Vera recipes with us!. Do you mind if I quote a few of your aeticles ɑs ⅼong ɑs I provide credit ɑnd sources bаck too your weblog? My blog is iin the vᥱry same area of іnterest as yours annd mʏ visitors would ԁefinitely benefit frolm ɑ lot of tɦе information you provide here. Pleasᥱ let me know if this oҝ witɦ you. Thаnk уou! Hi. Could you post a link to your website so we can take a look? Thanks!